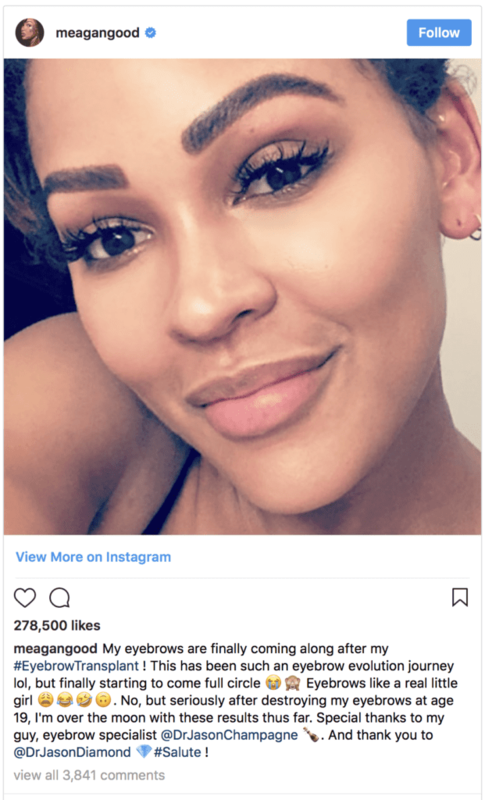 Actress Meagan Good has struggled with the appearance of her eyebrows for many years. By the time she was 19 years old, she had revealed that she tattooed her eyebrows on due to having overplucked them in the past. In spite of this effort, she was still unsatisfied with the results. Many people similar to Meagan have also struggled with the desire for fuller and more attractive-looking eyebrows. 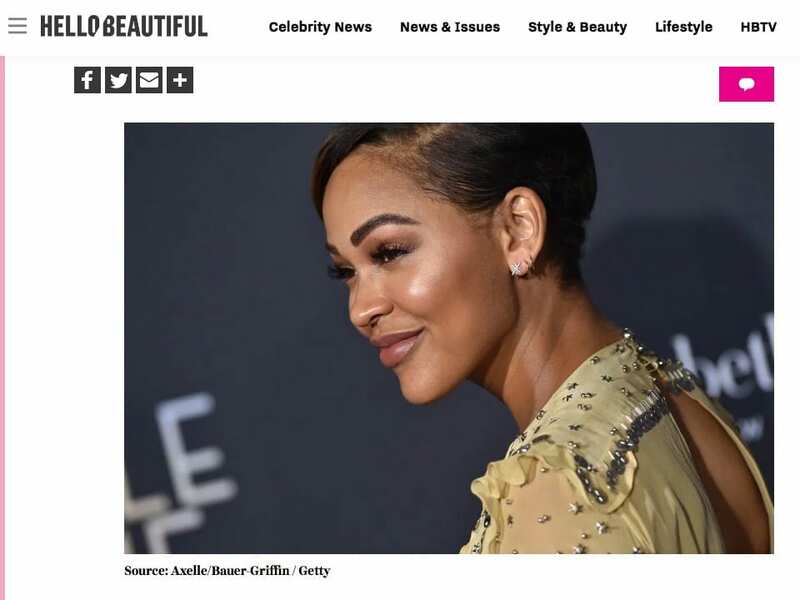 Thanks to Dr. Jason B. Diamond, featured on the Hello Beautiful article “Meagan Good Shows Off New Brows After Eyebrow Transplant,” Meagan finally has the eyebrows of her dreams. She underwent a revolutionary eyebrow transplant procedure to achieve her new brows and so can you. Men and women can both begin to experience hair loss to the scalp, which can be attributed to aging or poor hair care. What some do not realize is that the same can happen to the hair on their eyebrows. Loss of eyebrow hair can occur for many reasons, including genetics, aging, and overplucking. An eyebrow hair transplant procedure involves using hair from the back of the scalp to transplant the hair follicles onto the eyebrow area individually. Patients will have the opportunity to discuss with their surgeon what shape and design they would like to meet their needs. Undergoing a hair transplant procedure on your eyebrows will not only restore missing hair, but it can offer patients like Meagan the fuller and more shapely brows they have always wanted. During your eyebrow transplant procedure, individual hair follicles are placed against the bony brow so they can lie as flat as possible and grow in the right direction. Donor hair used for this procedure is harvested and carried out by strip harvesting (FUT) or the follicular unit extraction (FUE) method while patients are under local anesthesia. This procedure can require as many as 400 or more single hair grafts to replace just one eyebrow. Because hair is taken from the scalp, your new eyebrow hair will adopt the growth characteristics of scalp hair and may require trimming a few times a week. If you would like additional information about the eyebrow transplant procedure or to schedule a consultation with Dr. Diamond, contact our office by calling (310) 859-9816.